Magnesium is the second richest mineral in our bodies and controls hundreds of cellular reactions and the health of all your organs. Magnesium is commonly found in nuts, grains, and leafy green vegetables but is lost during the cooking process. Magnesium can also be lowered when taking certain prescription medications. Drinking alcohol and eating processed meats can also deplete your Magnesium levels. 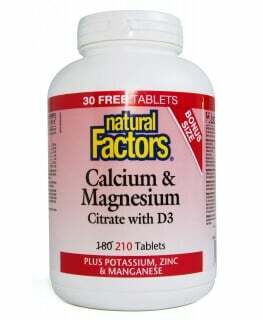 Why Do I Need a Magnesium Supplement? Researchers have shown the average diet does not contain enough Magnesium your body needs to be healthy. 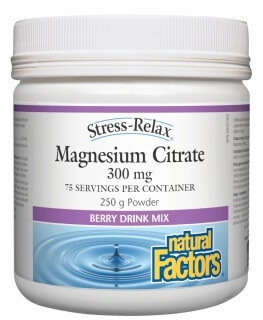 In addition, your bodies need for Magnesium increases when it’s under stress or pressure. 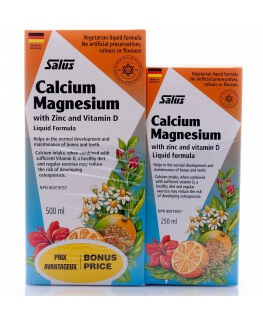 While magnesium deficiency is hard to diagnose and does not come with any warning symptoms, inadequate Magnesium reserves may contribute to headaches, migraines, muscle pain, cardiovascular disease, and diabetes. What Are the SISU Advantages? 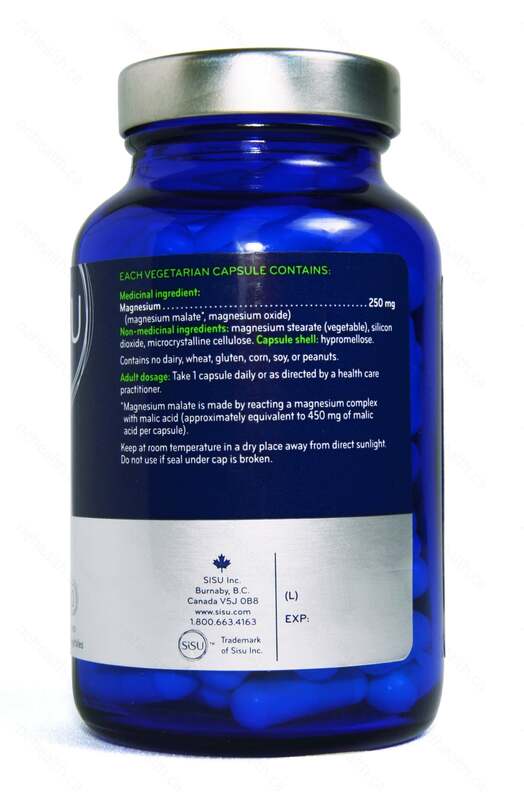 SISU is a trusted, Canadian manufacturer of natural health products. SISU maintains Good Manufacturing Practices (GMP) and all products are fully tested for purity and potency. 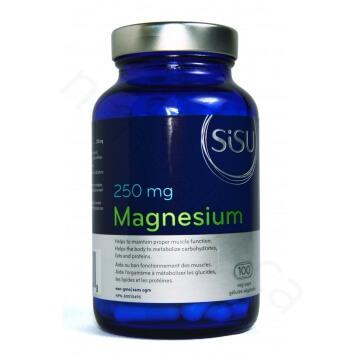 SISU brand Magnesium contains no source of gluten and is suitable for vegans. 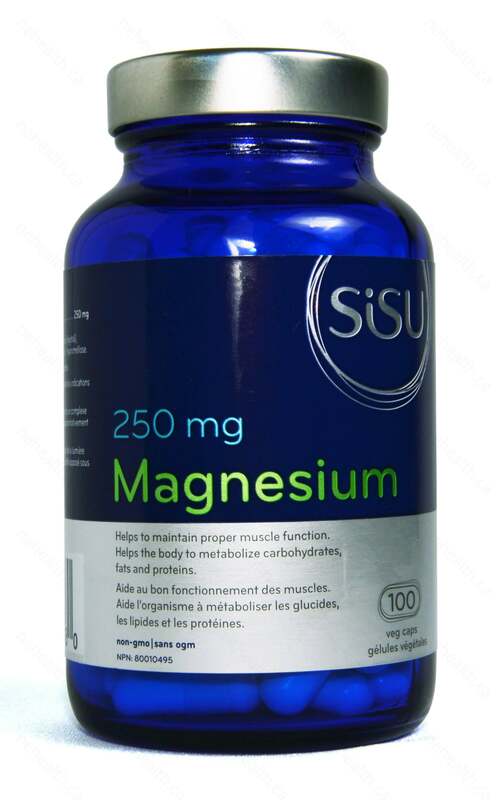 SISU Magnesium uses magnesium from magnesium malate and the natural oxide form. This provides the approximate equivalent of 600mg of malic acid per capsule. Malic acid is found naturally in the body and in many fruits. Non-medicinal ingredients: magnesium stearate (vegetable), silicon dioxide. Contains no dairy, wheat, gluten, corn, soy or peanuts. Take 1 capsule daily or as directed by a health care practitioner. Altura, B. M., and B. T. Altura. "New perspectives on the role of magnesium in the pathophysiology of the cardiovascular system. I. Clinical aspects. "Magnesium 4.5-6 (1984): 226-244. Marier, J. R. "Magnesium content of the food supply in the modern-day world. "Magnesium 5.1 (1986): 1.